Little, Brown Books for Young Readers, 9780316340878, 400pp. 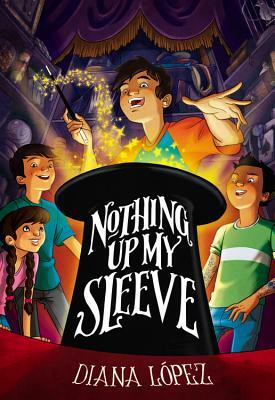 From beloved author Diana López comes an exciting middle grade story about three friends, a magic competition, and how far they'll go to succeed. money that each guy's family just doesn't have. them against one another. Will they make it to the competition? high jinks, and a bit of magic. Diana Lopez is the author of the novels Ask My Mood Ring How I Feel, Choke, and Confetti Girl, which won the 2012 William Allen White Award. She is the editor of the journal Huizache and the managing director of CentroVictoria, an organization devoted to promoting Mexican American literature. She lives in South Texas and teaches at the University of Houston-Victoria.